This September, Dolly Faibyshev’s photographs will take their place at Tze Chun’s gallery, Uprise Art, marking her first solo exhibition in New York. As the child of immigrant parents, Faibyshev has a sensitive awareness to the power of the ‘American Dream’. Her technicolor images shine a light on the mundane, everyday and absurdity of life in the United States. Her pictures have studied the architecture of culture in Palm Springs, the shallowness and ridiculousness of life in Best in Show and the reality of the ultimate American construct, Las Vegas. Dazed Digital spoke to the photographer about her work and upcoming show. Dazed Digital: How does it feel like to be having your first NYC solo exhibition in less than a month? Dolly Faibyshev: It's humbling to have so much support from people who believe in my work, such as Finch & Ada (my agent) and Uprise Art. I'm excited and looking forward to it, but I also feel somewhat exposed - like the characters and places I'm exposing in the photographs. DD: Your work has quite a strong signature, can you describe it? Dolly Faibyshev: I try to keep my eyes open. For Vegas, my most recent series, I was thinking about how I went there on a trip several years ago and was distracted by its ugliness. But after hearing my parents gush about Vegas as "America's Playground," I went back with them and found so much more life there than what I saw on the surface the first time. DD: Where does your focus on the American Dream come from? Dolly Faibyshev: As a child of immigrant parents, it was an unspoken feeling I grew up with. While I was experiencing the world for the first time, if was as if they were too. Now I'm exploring those ideas visually. DD: Your work feels quite spontaneous and un-posed, is it? Dolly Faibyshev: It's definitely spontaneous and I'm always looking for unguarded moments. The second that people notice me and start posing for the shot, it's all over. DD: Whose photography has influenced you? Dolly Faibyshev: I love the way Thomas Demand communicates meaningful ideas with a minimalist image - or, what appears minimalist at first glance. I'm influenced by other mediums as well. Van Gogh and Duane Hanson, although completely different artists, have this same effect on me. 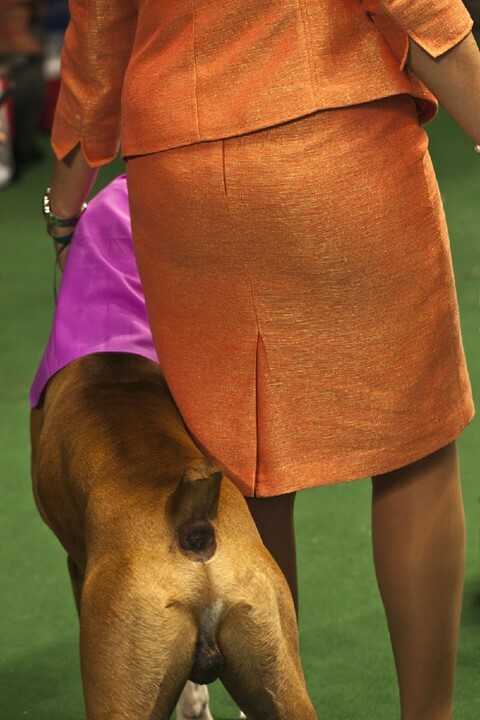 Dolly Faibyshev: I'm working to publish a book of my Best in Show series, so I'll be focusing on that. And I'm going back to the rodeo.